Dripping water loss is the maximum of all. Even in our home we can see the water drip down in toilets, kitchen, bathroom and other pipes in our home. A dripping faucet can let out 20 gallons of water in a single day. Water leaking from the toilet can let out 90,000 gallons of water in a single month. Are you thinking about how to save it? Well, just close the tap as soon as you are done with your work and for the toilets, change the washers on your sinks and showers. Try to use them with care and maintaining them well is the best way to save water. Water friendly equipments are nothing but equipments that cut down the wastage of water. Low-Volume or dual flush toilets, water efficient dishwashers, low-flow showerheads can come handy in saving water in a huge way. Installing water saving power heads will help you save about 1.2 gallons of water per minute, while even some have a pause button to cut down the supply while soaping or shampooing. A recent study has proved that using a low – flow shower head will save about 40 gallons of water in the 260 gallons of water that is being used in a house per day. Going with the low-flow toilet will save about 60-70 gallons of water per day, and together these two equipments alone save about 50% of the total water wastage. All the water that is wasted, no matter if it is clean or dirty goes down into the soil and contaminates the raw soil and the other minerals in the soil. Stay aware of the precious resource that is very slowly disappearing and turn off water while brushing your teeth or shaving. Wash your clothes and dishes with full loads. Try to wash the clothes and dishes in hand because you can fill in a sink and close your tap. As the old joke goes, shower with a friend. All the small things that you follow in your daily life will give you joy in the future. Stay away from bottled water. In many countries, the government is providing tap water and is also tested regularly. The taste has also proved to be better when compared to bottled water. A study has proved that the bottled products contain Neurotoxin Xylene, Neurotoxin Styrene and Carcinogen which is not good for health. Anyhow, all these waters come from the tap water. The bottled water costs more than petrol in gallons. It is also the reason for the increase in the carbon footprint. Always be safe and hygienic. Forget the bottled water until a situation forces you to buy it. Planting plants is a great idea, but wasting water in them is the worst idea. Water plants to their requirement and water them during the night or evening so that there isn’t evaporation. Have a lot of low water plants in your compound rather than having large trees. Install lawns in your house which will look good, consumes less water and is also good for nature. 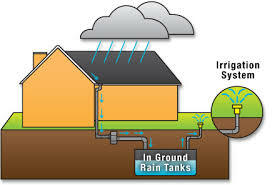 Rainwater harvesting is the best part you can do. Dig a rain barrel and use that for irrigation. So, the water which is got from other means can be saved and also the rain which is wasted can be used for watering plants. Go for it as sooner as possible and save rain water. Grey water is the water that is clean enough for second use. 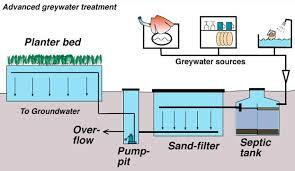 Grey-water treatment can be done with water from sinks, clothes washer and dishwashers. Toilet water is called as Black-water, which needs a different level of treatment for re-usable. The main motive of this process is to stop wasting water and use them for later use. It can be done with the process like Aqus which is a practical method. All the extra activities that you do with the help of water will be a waste. For example a car wash in a home can cost a lot of water than in a sewer system. 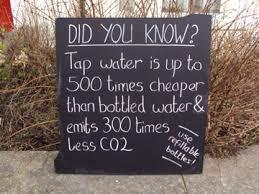 Because in most of the places they recycle the water and use it again and again, this is a good idea. But, make sure that they use better water. Be precise in what you are doing and make sure it is the best you do. 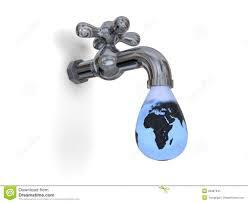 Saving water can start at your house, but it is not only about your house and your surroundings. Report any breakage in pipes, open hydrants and other means of wastage of water. This will raise your standards to the next level and will not let you down. So, don’t be shy to complain because you are also one of the public who has elected the government. Have swift actions in conserving water. 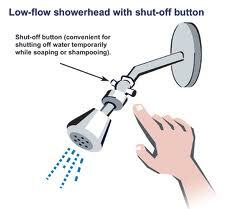 Saving water does not only means closing taps and storing them in a tank. 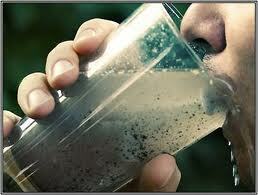 When the water in lakes and rivers are contaminated with chemicals and other pollutants, they cannot be used anymore. So, this water is also a waste. This contaminated water can come to your home for drinking purpose. This means that you do today will come back to you tomorrow. 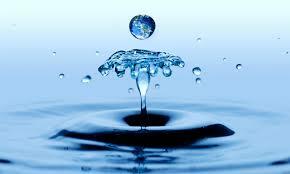 Water is a precious resource that should be conserved from now. Losing even a drop in a day will result in a large amount over a period of time. So, conserve water and live better.